Brownies from scratch. Those three words have always made my mouth water instantly, like Pavlov's dog. 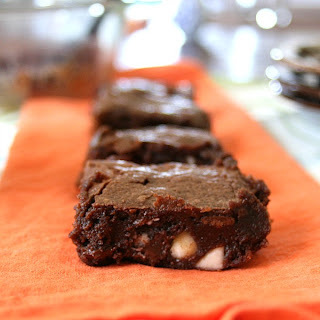 Brownies from a box aren't bad, but from scratch have always had that extra something that you can't quite put your finger on but you know it's good. 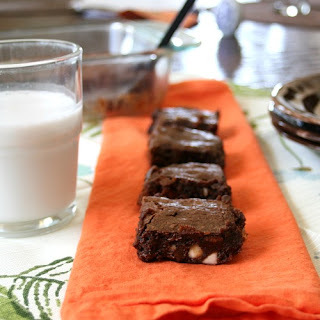 Be sure to stop by Mary Fran's host post of Gluten-Free Hazelnut (Nutella) Brownies (be still, my heart! Nutella!) and drool over her offering as well as all the other amazing recipes my fellow participants baked up for you this month. I chose to go with chocolate brownies because I felt chocolate was the perfect way to celebrate my one-year anniversary with the rally. I got started the second month into it last year, and I haven't regretted a minute of it. 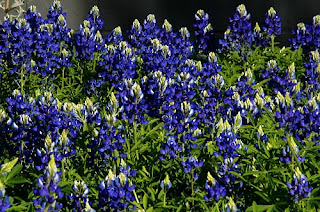 It's been so fun to have my eyes opened to possibilities I never imagined in the kitchen, as well as get to know my fellow rally bloggers a little bit better. 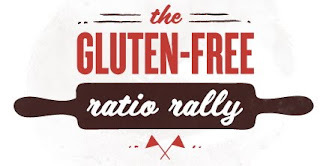 If you aren't familiar with the rally yet, you can learn more at the original introduction post by Shauna at Gluten-Free Girl as well as my other rally recipes that link up to the hosts each month on my Gluten-Free Ratio Rally page. 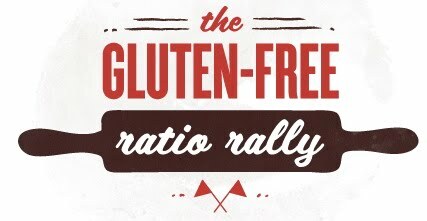 By baking and cooking with weight and using a ratio, you can free yourself to create endless possibilities in your kitchen. For these brownies, I came up with a ratio of 2 parts sugar: 1part fat: 1 part egg: 1 part flour. I based this from a recipe I created when I was pregnant with my oldest and was home alone for a week in desperate need of some serious chocolate. For this challenge, I played around with the flours and types of sugar and chocolate, and these ratio brownies ended up being less chocolate-y than the original gluten ones from years ago. My husband doesn't care for chocolate as much as I do, so I settled on cocoa powder for the final recipe I'm sharing today rather than the melted baking chocolate the originals call for. I wish I could say the final product is perfect, but for me to call them perfect they would have a bit more chewiness to them. (Edit: Psssst ... I finally achieved it! See the edit in directions for the chewy perfection! This also gives them an awesome crunchy top.) That being said, however, I think that's all they are missing. If I baked them a little longer, they may or may not come out a little chewier and I might try that next time (tonight, maybe?). 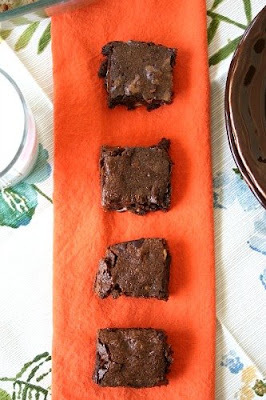 They aren't really cake-like brownies but are very fudge-y. I wish they had a little more chew, but I'm still quite happy with the texture and the entire pan was eaten quickly by everyone in the family. They definitely meet all the requirements in my mind for a really good from-scratch brownie taste. Sift flours together with ground chia. Melt butter in medium saucepan over low heat and cool to lukewarm. Mix in sugar and stir until smooth. Mix in salt, cocoa and vanilla and stir until well-incorporated. Mix in eggs until smooth. Mix in flour blend until smooth. Mix in chocolate chips, white chocolate chips and pecans. Please don't forget to stop by Mary Fran's post to see her delicious brownies, as well as all the other amazing brownies baked up by the participants this month! 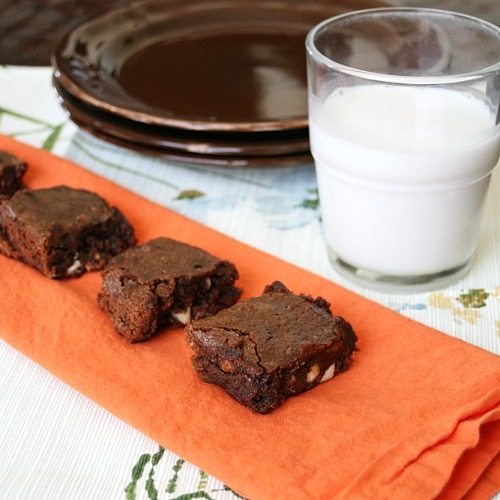 Just look at this list - how can you not be hungry for brownies right now? Thank you, again, Mary Fran! They sound wonderful! I love the incorporation of the chocolate chips too, pretty sure I would love these! These look great! I love the simplicity of the flavors. The teff flour sounds like a good addition. I'm always trying to sneak in fiber and nutrition in my gf baking treats. I can imagine teff is the perfect dark, rich flour to incorporate into a dessert like this. Yum. Charissa, it is. I think I'm going to use even more next time. I use teff in so many things, lol! Thanks. Karen, that's exactly what I was thinking so I used tapioca as the starch the first time around and really liked the texture of the potato better. Maybe I need to give it another try, though! I love teff in gingerbread - I am going to have to try it in brownies, now. Yum! These are lovely! I am a big fan of fudgy brownies! they look delightful! and i love that you added teff... love that little whole grain and perfect to make yummy brownies a little more guilt-free. 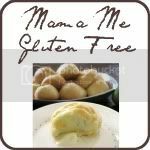 This is the kind of recipe I can imagine newcomers to the kitchen and kiddies (and the gluten free lifestyle) being won over and inspired to cook/bake more often. Great job, Caneel. Your recipes are always awesome!